Huawei Consumer Business Group announced PORSCHE DESIGN HUAWEI Mate 20 RS will be showcased in India on November 27, 2018 during the launch of the Mate 20 series. 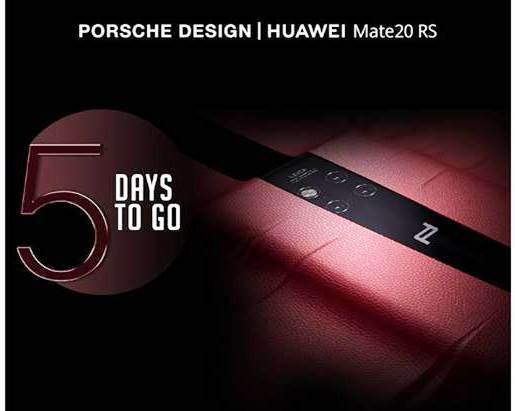 The new PORSCHE DESIGN HUAWEI Mate 20 RS delivers the future of mobile technology, encapsulated within an exceptionally stunning and streamlined smartphone. With a commitment to offer unique functional design, the company is bringing this exclusive line-up for the first time to the India market. PORSCHE DESIGN and HUAWEI have worked in tandem to develop a smartphone that fuses together the brands' DNA, and introduce devices that stand for precision and perfection, intelligent functionality and highly sophisticated design. PORSCHE DESIGN HUAWEI Mate 20 RS is designed for strength and style with a sleek handcrafted exterior representing the pinnacle in mobile luxury and mobile AI, offering aesthetically pleasing curves.